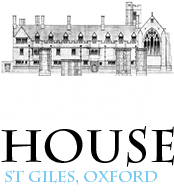 Pusey House was opened in 1884 as a memorial to Edward Bouverie Pusey (1800-1882), Regius Professor of Hebrew and Canon of Christ Church, who was for forty years a figurehead of the Oxford Movement and its de facto leader after Newman's conversion in 1845. Read more. Edward Bouverie Pusey was born on August 22, 1800 at the other Pusey House, his father's family seat at Pusey, not far from Oxford. His father was Philip Bouverie (d. 1828), a younger son of Jacob Bouverie, 1st Viscount Folkestone... Read more. The term ‘Oxford Movement’ is often used to describe the whole of what might be called the Catholic revival in the Church of England. Read More. The Principals of Pusey House. Charles Gore was the first principal of Pusey House, he was also the founder of the Community of the Resurrection, now at Mirfield; afterwards Vicar of Radley, Canon of Westminster Abbey, Bishop of Worcester, first Bishop of Birmingham, and Bishop of Oxford.